AUTOMATIC LEVELING SYSTEM FOR SELF-LEVELING ON ANY TERRAIN, RESULTING IN A FASTER SETUP THAT GETS THE JOB STARTED AND FINISHED QUICKER. WITH EASY-TO-TOW MOBILITY AND SIMPLE PICTOGRAPH CONTROLS. TO SAFELY TOW THIS BOOM LIFT, BUNCE RENTAL REQUIRES A VEHICLE WITH A RATED TOWING CAPACITY OF 7,000 POUNDS OR MORE. YOUR HITCH MUST BE IN GOOD CONDITION AND HAVE A RATED CAPACITY OF 7,000 LBS OR MORE. 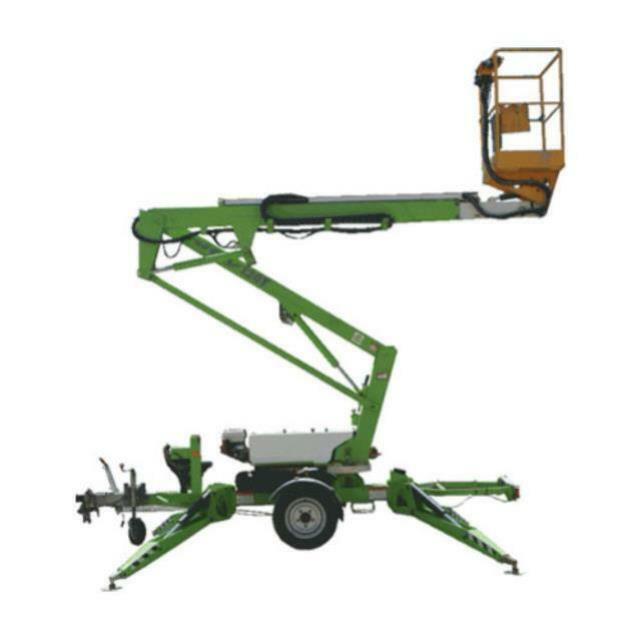 PERSONAL FALL PROTECTION EQUIPMENT (PFPE) IS REQUIRED WHEN OPERATING THIS MACHINE. IF YOU DO NOT HAVE A PROPER SAFETY HARNESS AVAILABLE THEY ARE AVAILABLE FOR PURCHASE FROM BUNCE RENTAL. * Please call us with any questions you may have about our boom 50 foot towable gas rentals in Tacoma WA and Puyallup WA, serving the South Sound.